Have you ever noticed that your houseplant leans toward light? Any time a plant is indoors, it’s going to crane itself toward the best light source. This is actually a natural growing process that helps plants in the wild find sunlight, even if they’ve sprouted in the shade. Unfortunately, it can make for some weird looking plants. Luckily, this can be remedied easily with simple rotating. Keep reading for more information and tips on rotating houseplants. The process that causes a houseplant to lean toward light is called phototropism, and it doesn’t actually involve leaning at all. Every plant contains cells called auxins, and their growth rate determines the shape of the plant. Auxins on the side of the plant that receive full sun grow shorter and sturdier, while auxins that are on the shadier side of the plant grow longer and spindlier. This means one side of your plant grows taller than the other, making for that craning, bending effect. Turning houseplants on a regular basis, however, will help keep your plants looking their best – all of which results in healthier, stronger growth. 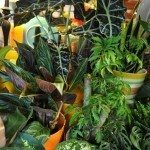 How Often Should I Turn a Houseplant? 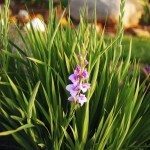 Sources vary on the rotation of houseplants, recommending a quarter turn everywhere from every three days to every two weeks. A good rule of thumb, and an easy way to add the rotation of houseplants to your routine without adding too much strain on your memory, is to give your plant a quarter turn every time you water it. This should keep your plant growing evenly and healthily. 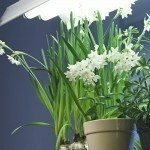 An alternative to rotating houseplants is setting up fluorescent lights on the shady side of the plant, causing auxins on both sides to grow sturdily and the plant to grow straight. 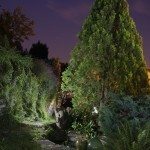 Similarly, a light source directly above the plant will make for even and straight growth and doesn’t require a window at all. If you like your plant’s position and don’t want to get into extra lighting, however, rotating will work just fine.